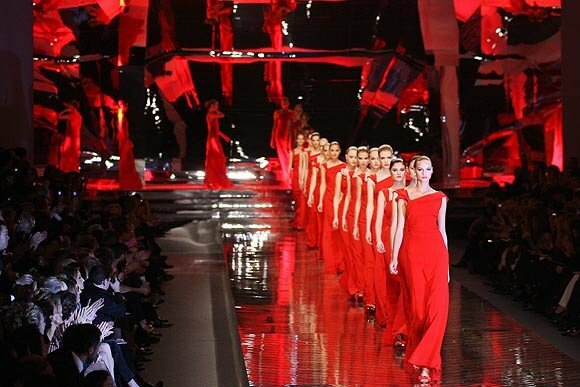 It ended, of course, with that unforgettable parade of models in red gowns, before Mr. Valentino took his last-ever runway bow. The crowd rose for a standing ovation—a crowd that included Uma Thurman, Miuccia Prada, Alber Elbaz and Claudia Schiffer. Such a powerful and emotional conclusion to the Valentino Haute Couture 2008 show makes it easy to forget the actual défilé—or it would, if the clothes Mr. Valentino showed for his final collection weren’t totally unforgettable. As Sarah Mower wrote in her review for Style.com, the Valentino essence was all there. 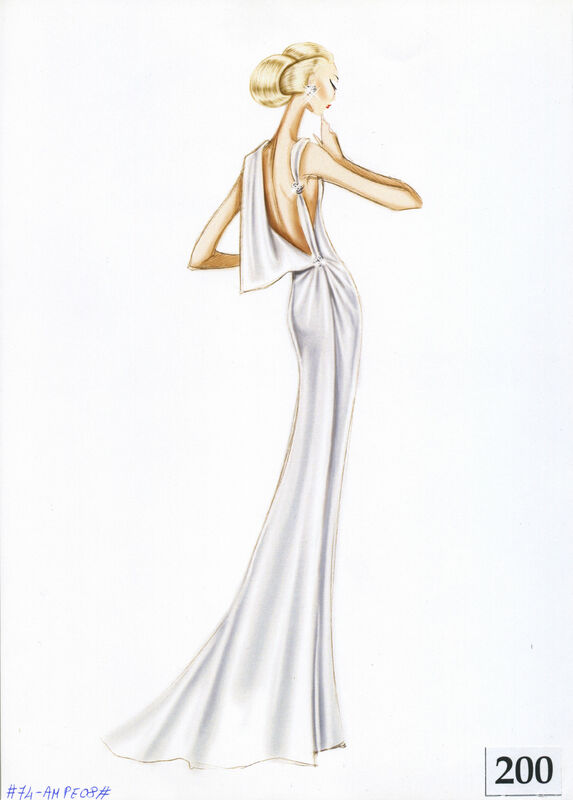 “The Val way with double-faced coats and little luncheon suits; the fragile beaded chiffons; the cocktail sheaths; the love of lace, flower prints, and succulent satin bows; the magical draping; and the manner in which he cut a column and arranged an asymmetric shoulder strap just so.” One of those just-so columns, in white satin, was strutted down the catwalk to spectacular effect by Valentino muse Natalia Vodianova. Another standout gown? 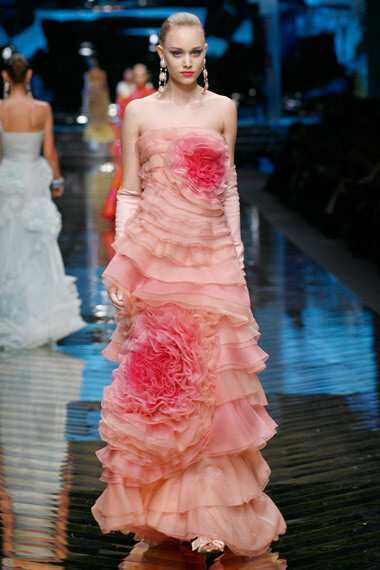 The strapless pink tonal one in silk voile, appliqued with ruffles and flowery corollas, which has since featured in virtually every Valentino retrospective.